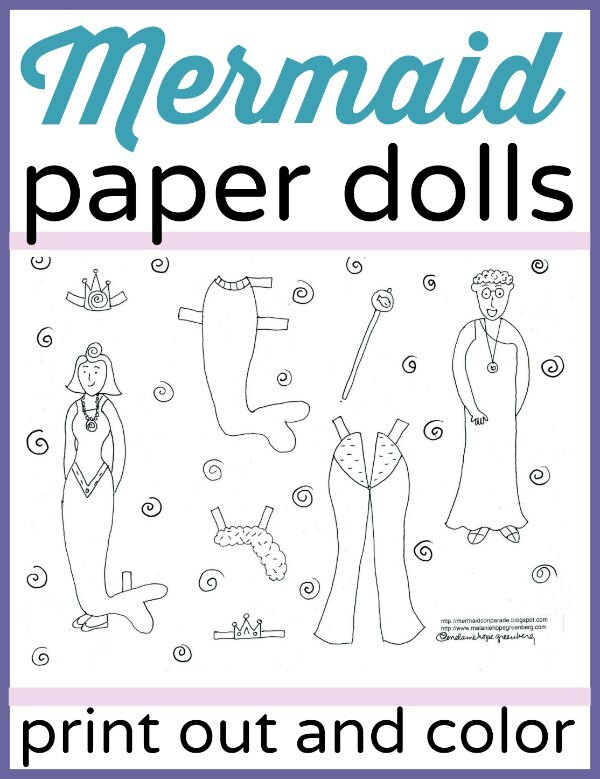 Faithful followers of our free coloring pages will agree that Melanie Hope Greenberg has outdone herself this month with printable mermaid paper dolls based on her popular children’s book, Mermaids on Parade. This is a brand-new illustration and I am really excited and flattered that Melanie chose my lovely readers to see it first! If you have read Mermaids on Parade (and if you haven’t you will now!) you will know about the King and Queen of the Sea! 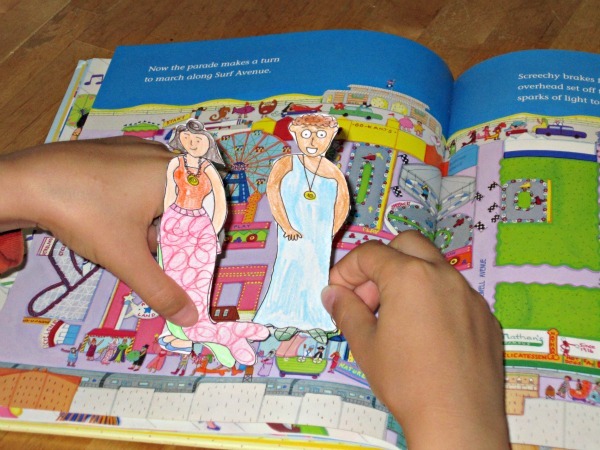 Kiddo used his dolls to walk along the Coney Island map in the book! He cracks me up. Print these out on card stock to color and cut out for paper dolls. Play with them at home, take them on the road, to the restaurant and to their favorite place: the beach (sunscreen not included). Melanie’s book is out-of-print but your library likely has a copy and if you purchase a copy directly from Melanie she will even autograph it for you. That is a pretty sweet deal. 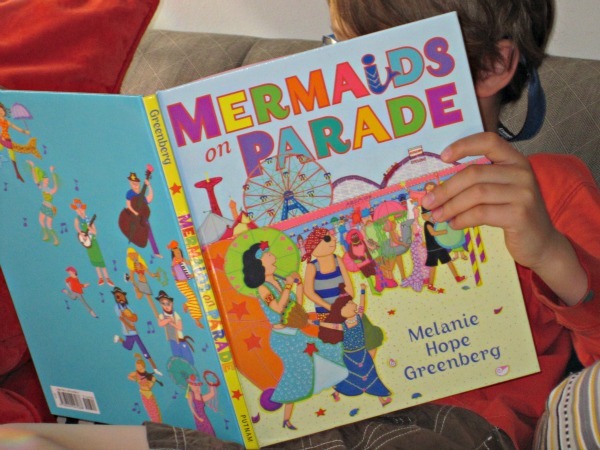 Go to this affiliate link: Mermaids on Parade, click on the large yellow button “See All Buying Options” and scroll down through third party vendor’s until you see Melanie Hope Greenberg as the seller. Don’t forget to check out all of Melanie’s coloring pages (Including a mask! A bookmark! Cards! Oh my!) right here every month, or take a peek at Melanie’s official website to learn more about her books and illustrations. I love Melanie’s coloring pages, and these are no exception! And, we need to get a copy of that book!